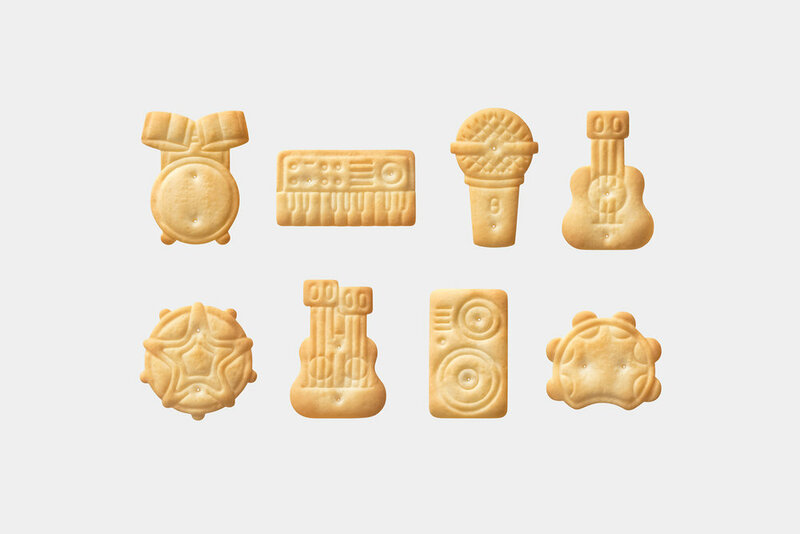 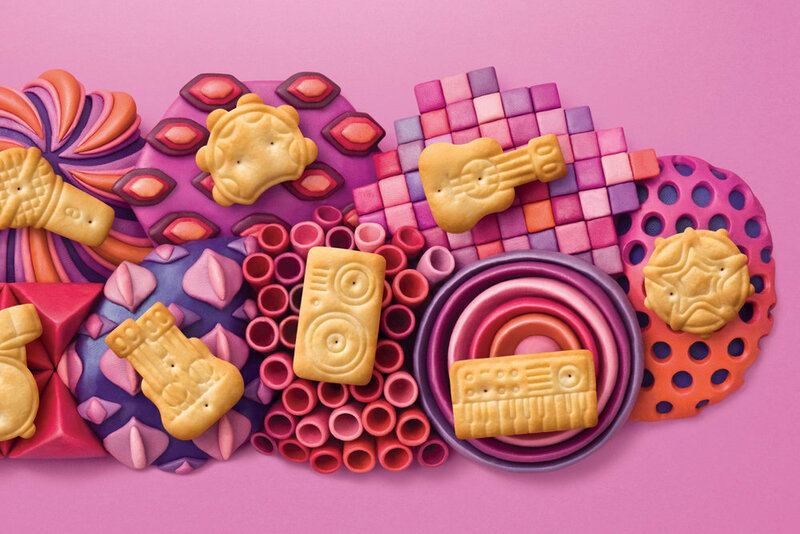 These crackers come with a playful and visually-appealing look. 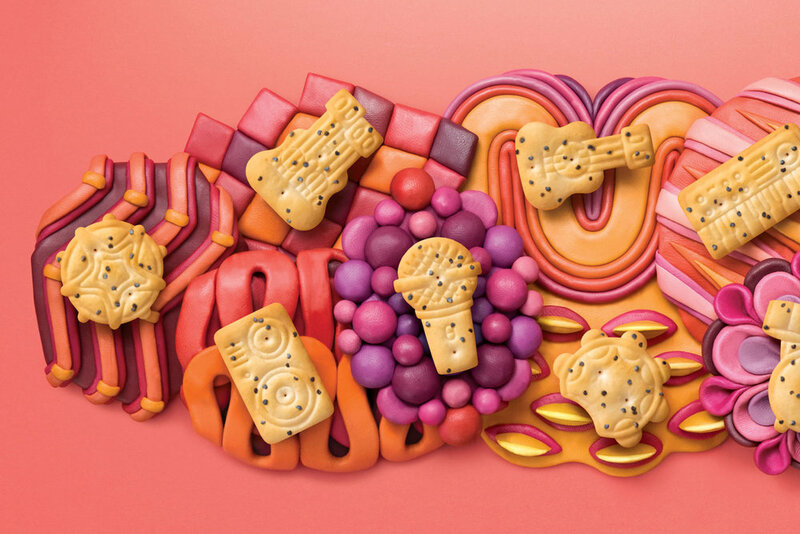 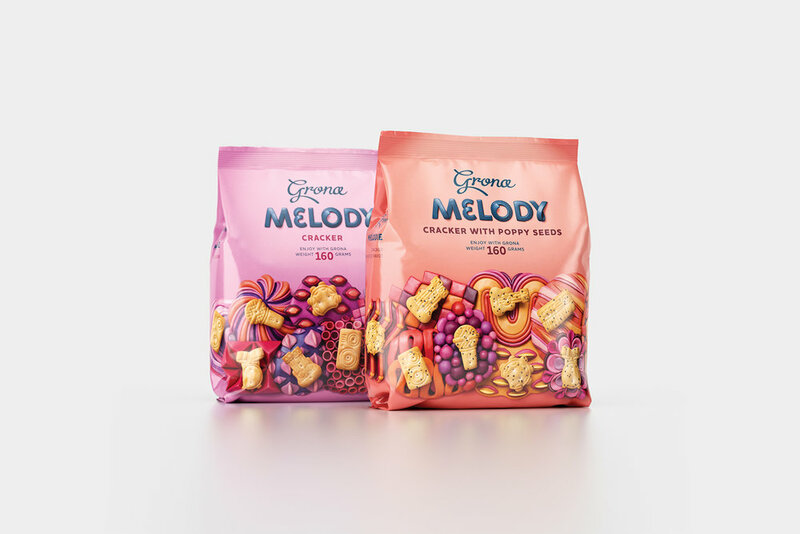 Yurko Gutsulyak designed the packaging for Grona’s snack cracker brands. 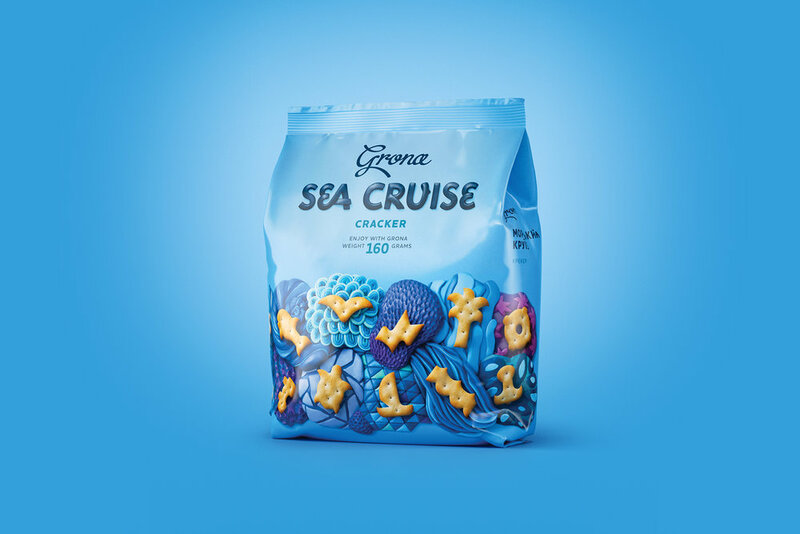 “Sea Cruise is a low-fat and slightly salted cracker that at the moment includes three flavours: classic, onion and cheese. 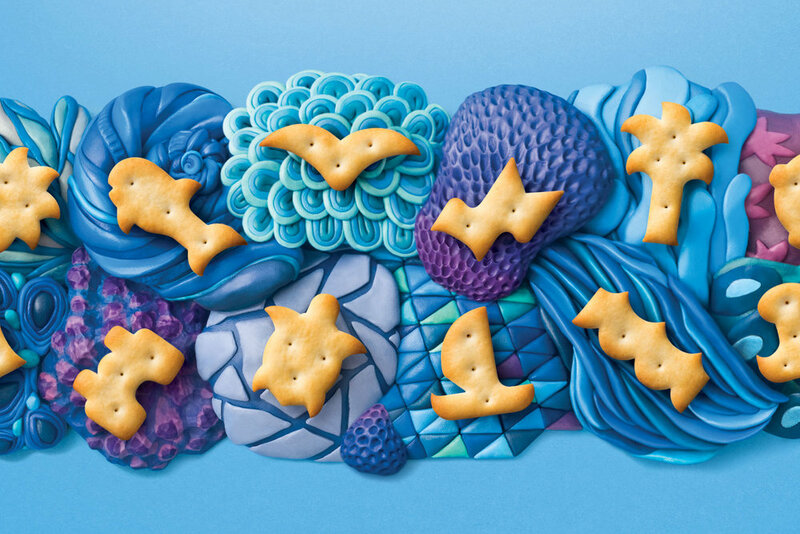 We recreated atmosphere of marine world in illustrations with accents on the floral elements to symbolize onion and on the evening sea to symbolize cheese.